Well, my first girls “glamping” weekend is in the books. Fun doesn’t even do justice to how great of a time we had at Camp Wandawega, an old speakeasy & brothel deep in the Wisconsin woods turned camp resort in the 1950’s. I’ll be sharing the whole experience in a separate post, but think “elevated, modern-vintage camping” within the wilderness, a tiny bunk house, kitchenette, and electricity. Some may say I packed unnecessary things, like my all-clad waffle maker, pour over coffee supplies, and this luxurious hand repair cream, but in my mind, we were glamping! And I was going to make sure we felt a little pampered. 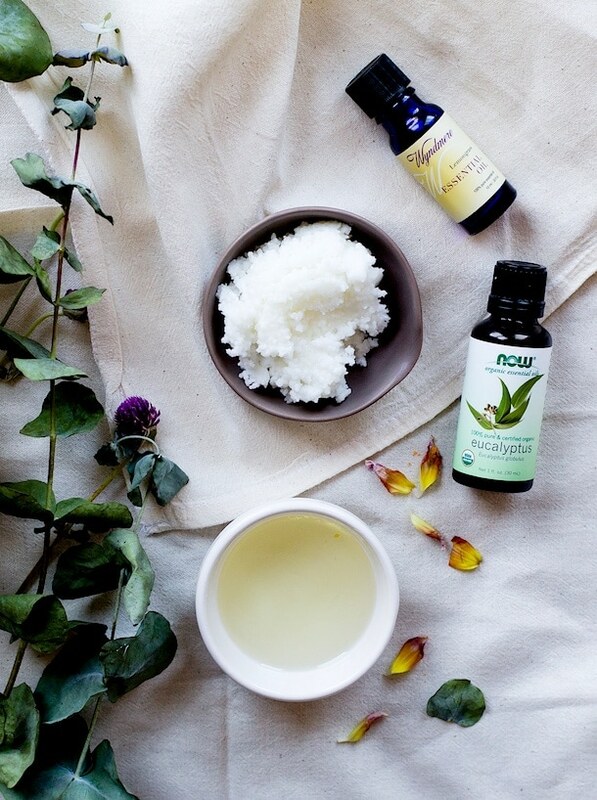 I’m excited to start sharing natural skincare & green living ideas, and I think what you’ll find is that they’re even easier to make than you imagined (and make great gifts!). But most importantly they’re made with just a few real ingredients instead of the synthetic “extras” of store-bought versions. I must say that up until this year, I didn’t pay much attention to the labels of the products things I was putting on my body, or in cleaning supplies. But going through some auto-immune issues this spring and a lot of digging to figure out what might have been causing my symptoms, I completely cleaned out my makeup bag and our household cabinet. I was shocked at how toxic most of the products were, and I began to understand that what we put ON our bodies is just as important as the food we are putting INTO it. Essentially anything topical goes straight into our bodies, with no filter. For both the body and our skin, simple is better. Being it’s own ecosystem, we have to give it love and care, respect for all the amazing things it does for us. And I think natural DIY recipes are such a great way to do that, they’re beauty in the making. Spending most of my time in the kitchen each day, my hands take quite a beating, whether that’s from the cooking or washing dishes. And living in Minnesota, they get really dry during the winter months. I’ve been looking for something to soothe, hydrate, and protect them from the elements. 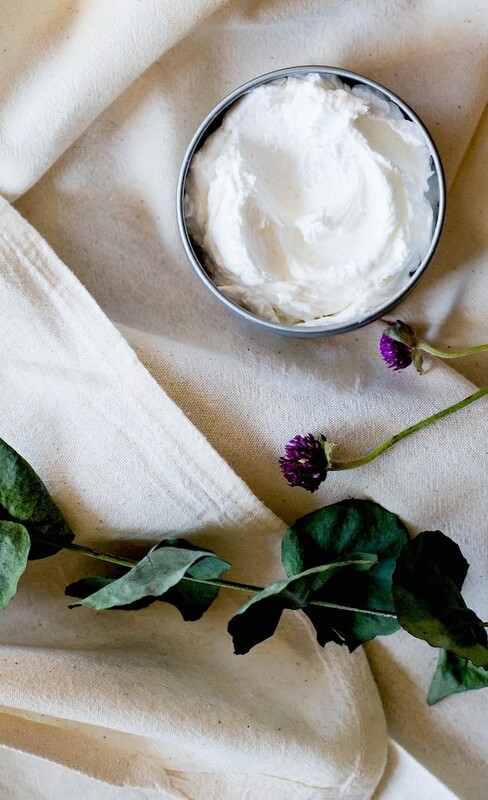 shea butter: is skin’s best friend. 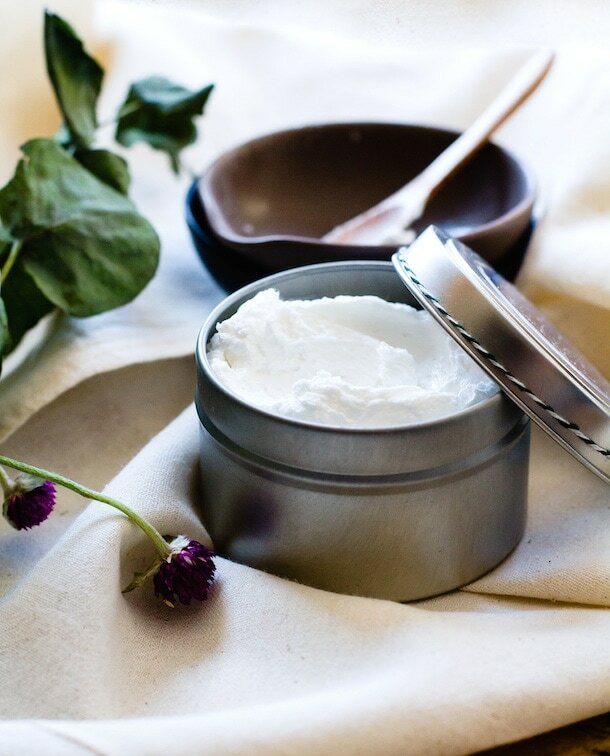 It is a superb moisturizer, a pure source of Vitamin A & E that heals and nourishes at the same time. You’ll feel it soften your skin immediately, and what I like most about is that it’s not greasy, which can sometimes happen with coconut oil based moisturizers. sunflower oil: calms irritated skin and is extremely hydrating, which is why you’ll only need a small amount. Even the essential oils have healing properties, not to mention they’re smell is quite refreshing, a natural stress reliever. eucalyptus: has antiseptic qualities because of its germicidal quality, therefore this oil is used for healing wounds, ulcers, burns, cuts, abrasions and sores. 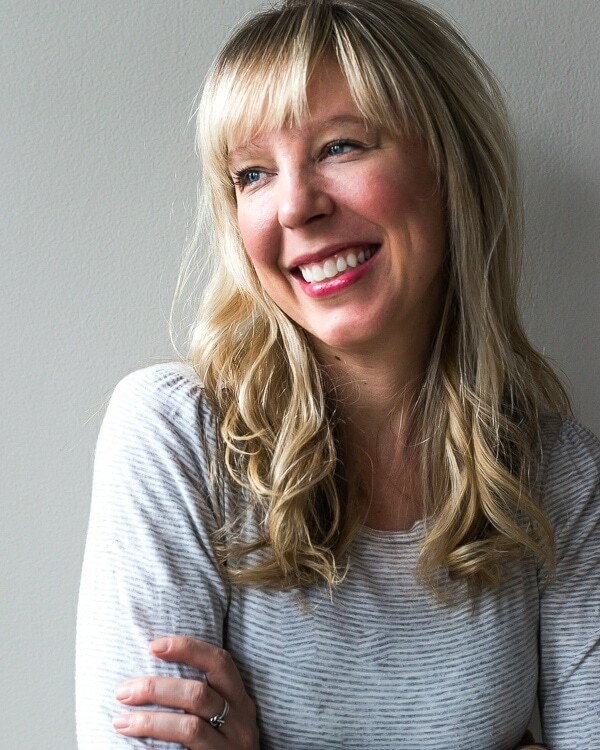 This post is sponsored by NOW Foods, who is a great source for organic products when making all of your natural skin care products. All opinions are my own, and I’m so grateful to work with great brands, as well as all of you who support me! Add the shea butter and oil to a small pot and warm over low heat on the stove, until everything is just melted. Pour into a non-reactive bowl, large enough for you to eventually use your hand mixer in. Stir in the drops of essential oil. Set bowl in refrigerator for 25 minutes, so mixture becomes slightly solid. 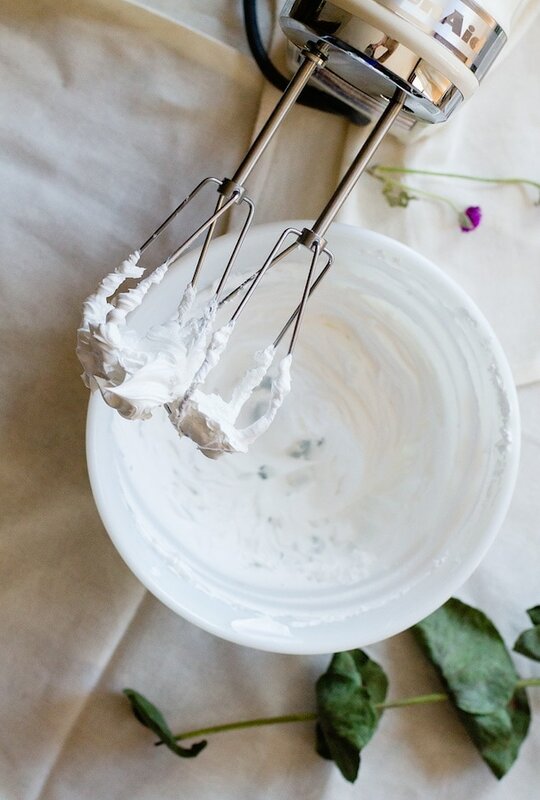 Then whip with hand mixer for 30-40 seconds on medium speed, until cream is fluffy, creamy and has doubled in size. (It can turn from fluffy to stiff quite quickly, so if this happens, simply melt for 10 seconds in the microwave, then lightly whip for 10 seconds.) Transfer to a clean jar and apply as needed to soften your hands, or rough spots like feet, knees and elbows that tend to get dry. I love this! My hands really take a beating in the cooler months, so I’ve been meaning to make myself an intense hand cream like this. A few months ago I made myself a shea butter body/face cream and it’s changed my life, so this is next on my list. OMG Yes. I love this so much and have had these essential oils on my shopping list for some time now, I’m making this. Done. Beautiful. I love Shea butter, it’s been my go to deep moisturizer for years. 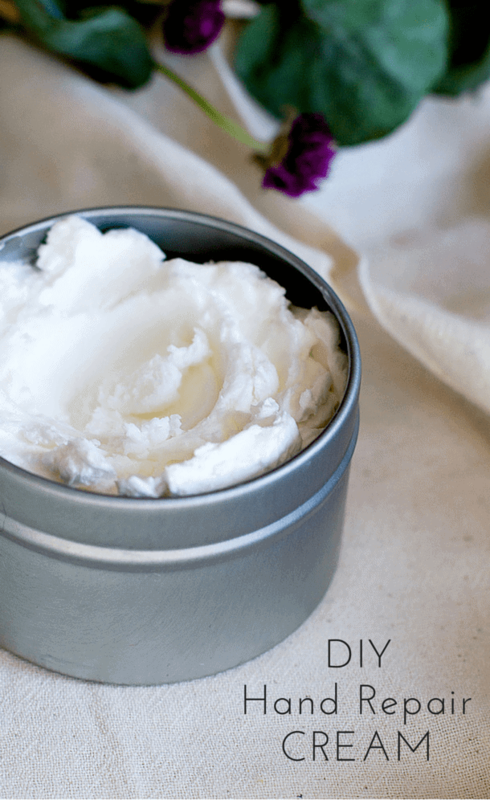 I so glad that you’ve created this recipe because in the winter my Shea gets super solid. Thank you! Hi Jill! You’ll need to melt the shea butter with the sunflower oil to get everything to incorporate. You could even try microwaving for 20-30 seconds, I just like to be able to control the heat on the stovetop. Gorgeous. I love the lemongrass oil. I have never used that one, even though I own like thirty kinds of essential oils (my husband would say too many ;). I am for sure making this for me, and for my sisters this Christmas! ok, so I remember trying this at camp and loving it. i just realized the other day that i can no longer put crappy, scented lotions on my body because of the rashy irritation i deal with. my doctor told me years ago to use unscented lotions and i never listened….. i remembered this lotion you made, and here i am looking at the recipe, ready to make it!!! i’m saying good-bye to victorias secret lotions forever and ever. It looks amazing! My mom has really dry skin and I really wanna make it for her as a Christmas gift! I wanted to ask – can I make it now or should I wait until Christmas time? How long is the shelf life of this cream? Also, can I use orange essential oil instead of lemongrass or eucalyptus? I would trully appreciate the answers! Hello! 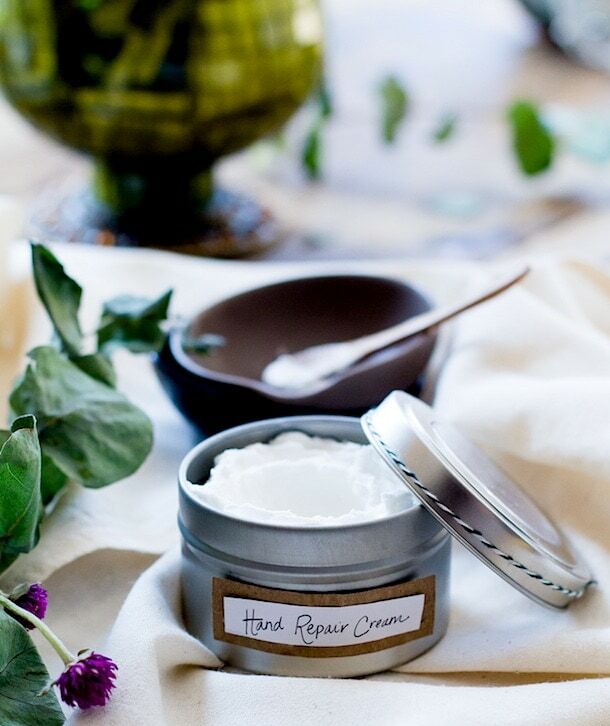 I have some dry skin problems, especially at winter time, so I really wanted to make this cream! And today I did :) Everthing looks amazing I just have a few quick questions. When I took it out of refrigerator and whipped it, it was fairly fluffy (at least I think it was). But then 30 min or so later it solidified and it’s now quiet stiff. Since I have never used shea butter OR made any homemade cream before I can’t be sure if it is supposed to be a little bit solid? If not, I guess, I have over-whipped it or something? Should I melt it and whip it again? And finally a weird little quetion – can I use the kitchen equipment (like bowls, mixer whisks, spoons and stuff) I have used to make this cream for making food again (after washing everything well, of course)? Sorry for weird questions and thank you in advance! Hi Alice! Yes, it will solidify as it sits and cools, because this is how shea butter reacts. You can rewhip if you want, but I actually prefer it like that because it’s really thick, so you when whipped you’re more likely to use more, even though you don’t need to. And yes, I used my bowls and mixers, spoons etc after washing for food since these are all real ingredients. Enjoy!